Police said the two victims are the children of the suspect's girlfriend and that all four people lived in the home together. Two teens are dead and a security officer at a federal building is in custody after a domestic dispute led to shooting on E. 86th in Garfield Heights, according to police. 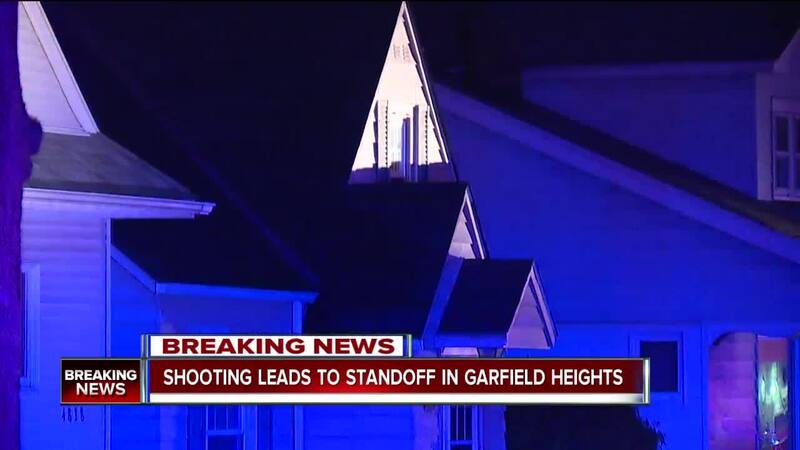 Officers from the Garfield Height police department responded to a home on the 4800 block of East 86th Street at around 9:30 p.m. on Wednesday night to find a 17-year-old male and a 19-year-old female lying in the driveway. Both were transported to the hospital. The 17-year-old, identified as Manuel Lopez Jr. by the medical examiner, was pronounced dead at Marymount Hospital. Giselle Lopez, 19, was taken to MetroHealth Hospital, where she underwent surgery, but died from her injuries. The suspect is 29-year-old Matthew Nicholson, who works for a contractor as a private security officer at the AJC Federal Building in Cleveland, which houses the Cleveland field office of the Department of Homeland Security. Nicholson barricaded himself inside the home after law enforcement, including SWAT, arrived on the scene, the police report states. Officers were informed that Nicholson said he would shoot any officer that attempted to enter the home, and that he had an AK-47 inside. After four hours of negotiating, Nicholson surrendered peacefully, exiting the home in a bulletproof vest, the report states. He was taken to jail by Garfield Heights police. Police said the two victims are the children of the suspect's girlfriend and that all four people lived in the home together. Nicholson's girlfriend told police that an argument began with him over her texting an ex-boyfriend. He then got physical with her, she said, and the two were fighting in a back room when Manuel Lopez, Jr. entered the room and began defending his mother. While they were standing in the driveway, Nicholson exited the home and began firing his pistol at them, striking Manuel Lopez, Jr. and Giselle Lopez, the report states. The mother was taken to the hospital for minor injuries sustained in the domestic dispute. Police say she sustained a "slight facial injury" and an arm injury. 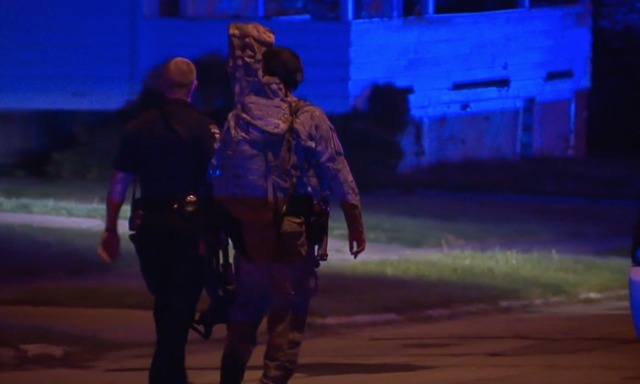 Police searched the home after the standoff and did not find any other gun inside other than a .45-caliber handgun. 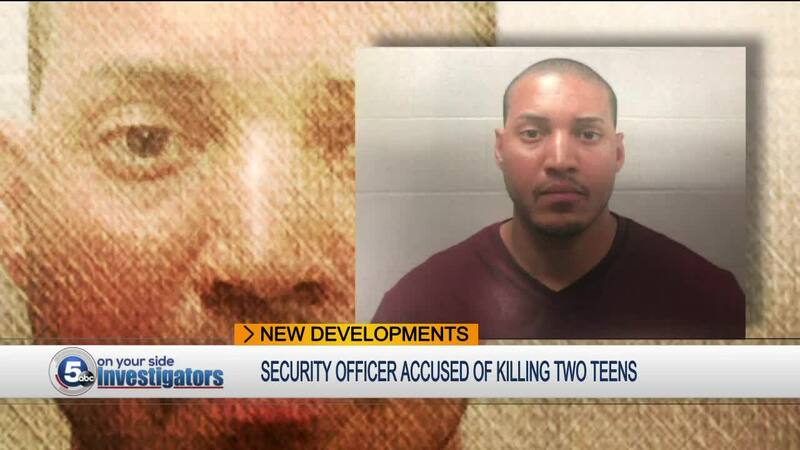 Police confirmed that Nicholson is not the father of the two children who were killed. The mother has a third child, an older son who is in the military. He was in Louisiana at the time of the incident. Nicholson was arrested and charged with aggravated murder, among other charges. News 5 reached out to the Department of Homeland Security and was told the request was forwarded to the Immigration and Customs Enforcement division.